Hi everyone. Today I am going to share a really simple but very pretty little project. 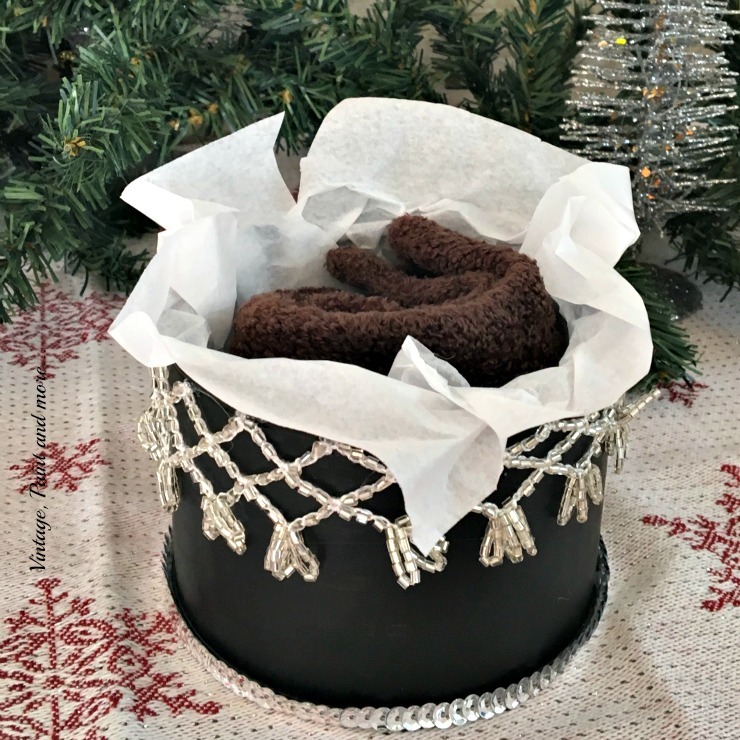 A DIY multipurpose gift wrap that can be reused after the gift is opened. I love being able to stretch my dollars with projects like this. I am joining the ladies of the Junk Revision Challenge. This month's theme is "Gift Wrap Using Unexpected Repurposed Item". So I chose an empty cashew can for my item. Doesn't look too promising as far as gift wrap goes - does it. I like using unusual items to wrap gifts with and if they can be used after the gift is opened that's even better. I made this one so it could be used for storage afterwards. So lets get on with the steps to transform this into something usable. 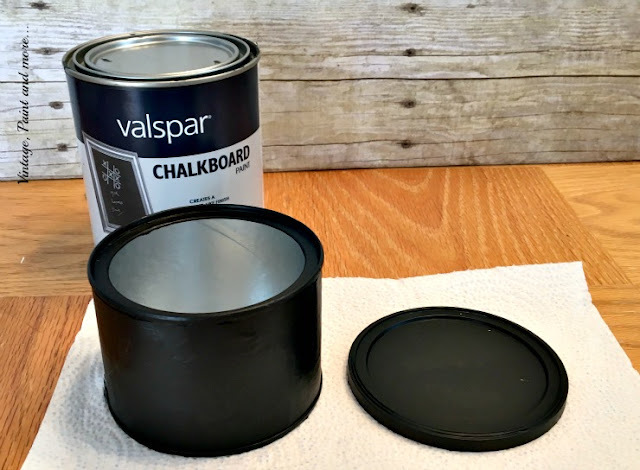 First step is to paint the can with the black chalkboard paint or a color of your choice. It took 3 coats for mine to completely cover all the advertising. This is how it looks after the three coats. All ready for the embellishments. 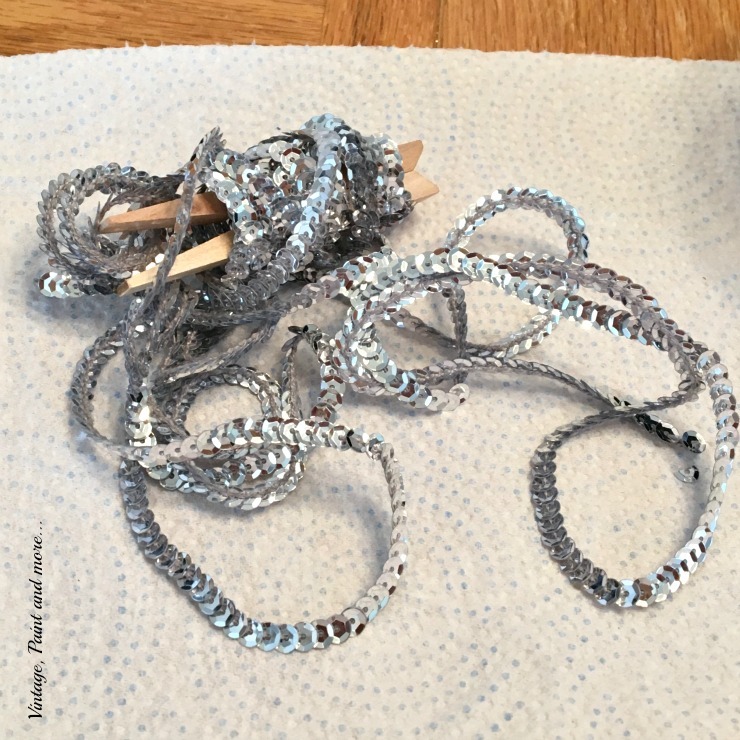 The next step is simply gluing your embellishments on in the place you want them. 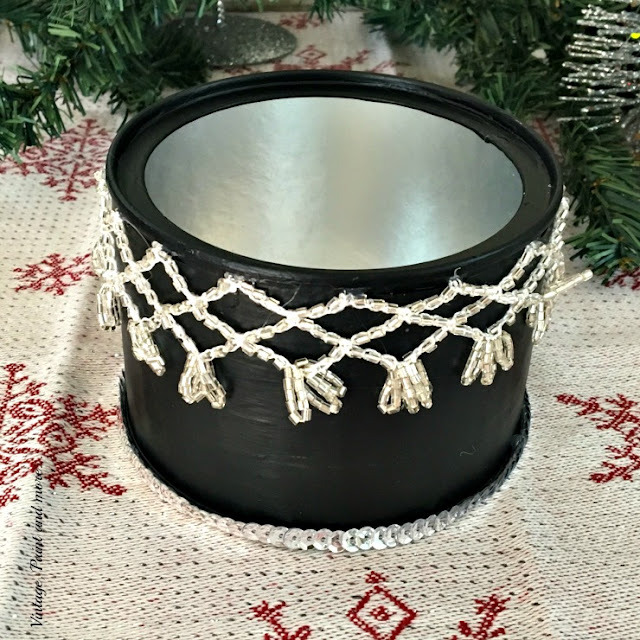 I chose this silver sequin trim I had to glue to the bottom rim of the can and the rim of the lid. I used these window clings from the dollar store for the top of the can - I actually went ahead and glued it in place to assure it staying. I then glued on this beaded trim which I have had for ages. I put it just under the lip of where the lid would meet the can so that it looks like it's hanging from the lid. Here it is all finished - I love the silver against the black - it just looks so glam. It's large enough to hold a pair of gloves, a pair of socks, a piece of jewelry, or a very large bag of M&M's - all sorts of great gifts. I love how it turned out much prettier than I had imagined but I think what I love most is that the recipient receives a second gift. One that can be used in many different ways. Be sure to follow the links below and check out what the other ladies have come up with. 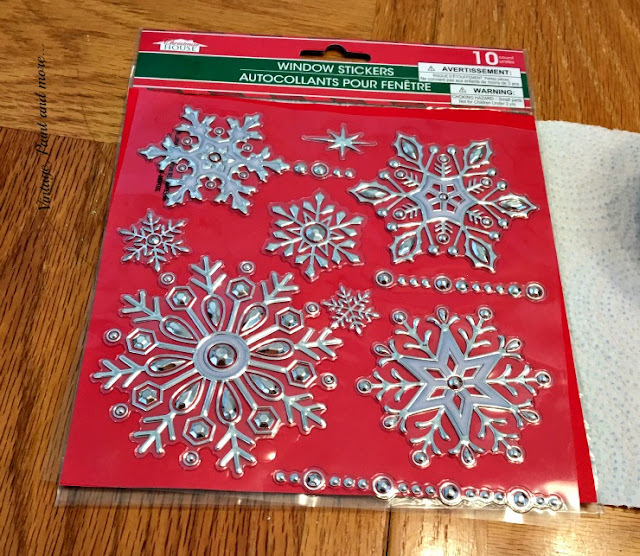 You won't look at gift wrapping the same again. I will be linking to the parties that are listed on the Where I Party page. Please be sure to visit these parties and check out all the great inspiration and creativeness found at each. What a great idea Cathy! Your little gift tin is adorable! I'm pinning for later! Thank you Cat and thank you for pinning. How awesome is that!?!! It looks like you picked it up at Anthropologie! Now I'm stocking up on empty nut containers as well as cans, newspaper, oatmeal boxes, etc ;) this group just rocks it when it comes to wrapping gifts! 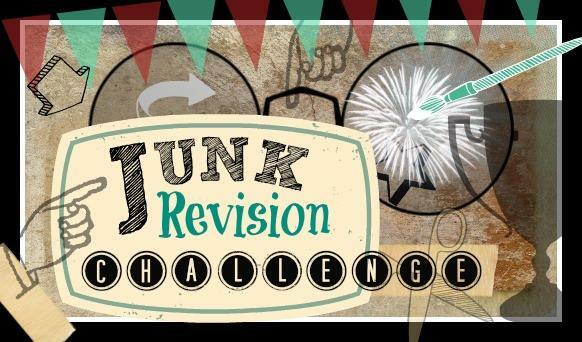 Thank you Jill - isn't it fun to see all the amazing things we come up with each time. I love this group. Thank you so much Lucy. I love the way the silver pops on that black also - so pretty. I know, I make myself hungry sometimes, lol. Thank you so much Kathleen for your sweet words. 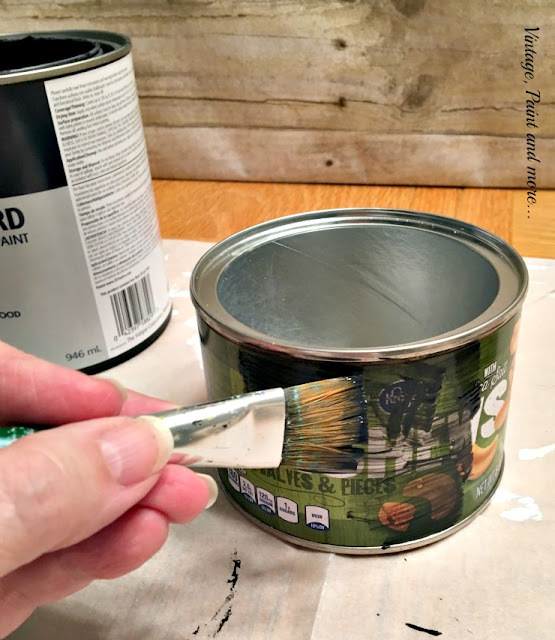 Love this project and there won't be a can in my house that is safe! Thank you Sandra - I would love to see your cans I bet they will be awesome. Love it when you can use - and reuse - and reuse. I could see making a bunch of these and keeping them going for seasons to come. 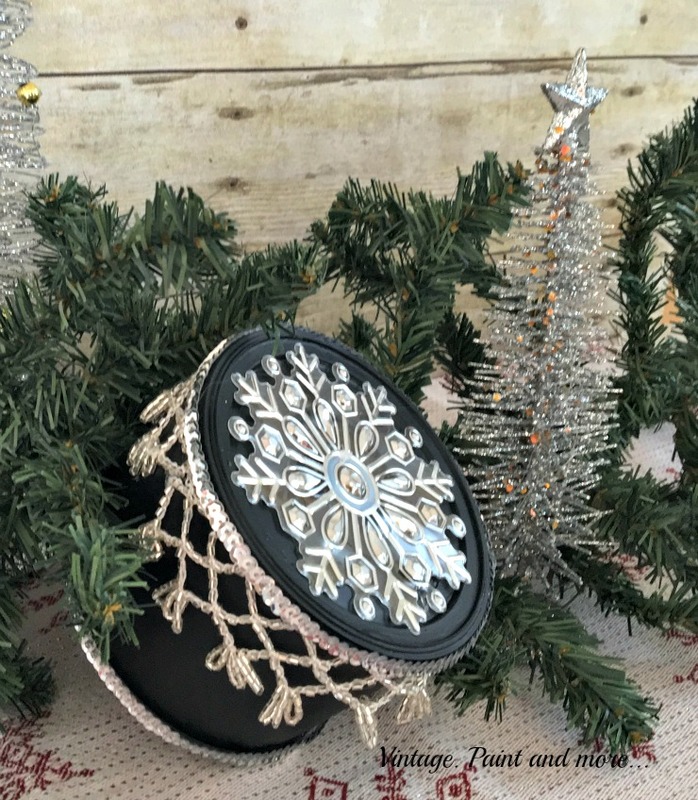 Your little drum is adorable and so apropos for the container, too! Me too, Amy. Reuse is my middle name I think. Thank you so much for your sweet words. This turned out great!!! Love the black and silver! Thank you Sara - I love that silver on the black also. I'm kicking myself over all the potential wrapping boxes I have thrown out lately! Beautiful gift on it's own! I can relate Kim - I don't know how many of these I have thrown out until the light bulb turned on one day. I think I will be saving all of them in the future though. 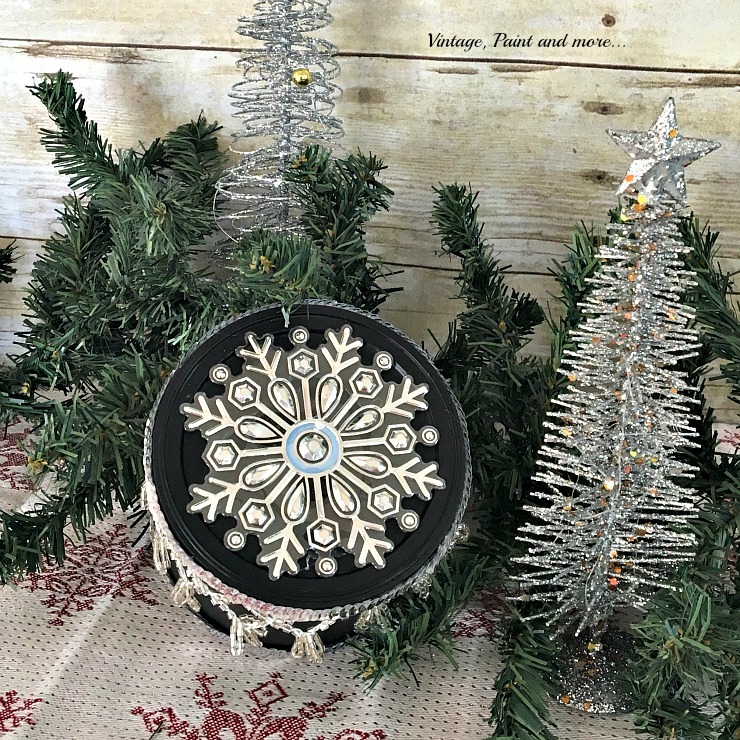 This is so pretty and very creative, Cathy! What a great way to recycle all those boxes and cans we throw out! Thanks so much Gail - I love to recycle and am always looking for new ways to do it. 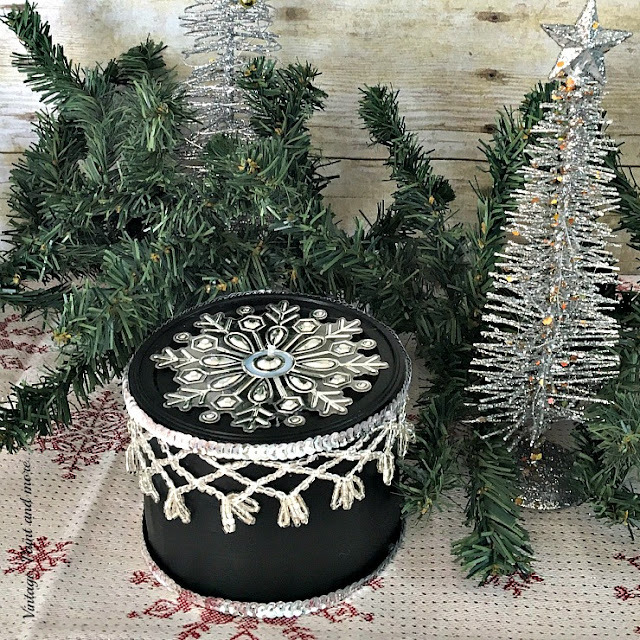 Cathy, this can turned into a gift box looks so elegant painted black and embellished with silver trimming!! You did a beautiful job!! Thank you so much Keri. That is really beautiful! 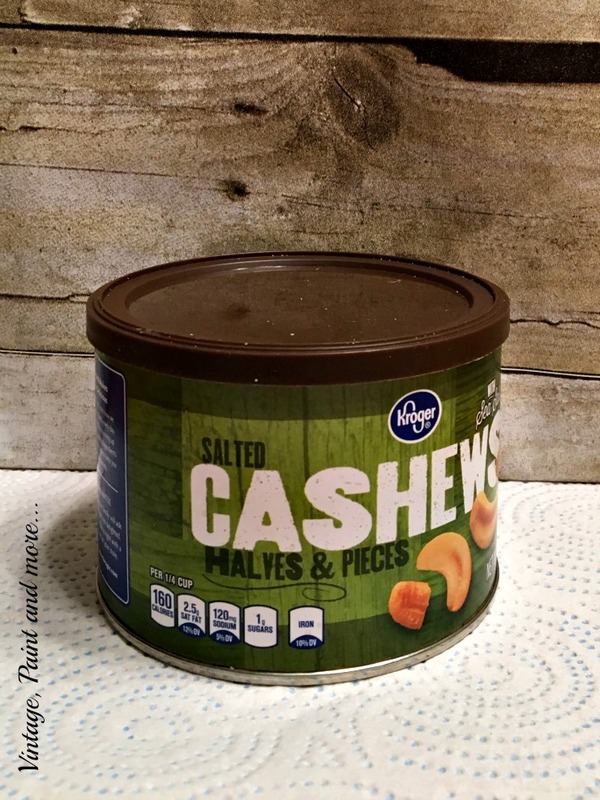 Love that it started our as a cashew can. Never would have guessed it. It's stunning! Thank you so much Tuula. This is a great project. What a transformation. This is so beautiful it can be given as a gift itself. It doesn't need anything inside. Really great job! Pinning!! Happy Holidays! Wonderful idea, now I know what to do with my two cookie tins! Visiting from Pieced Pastimes. Wow you made that can look so pretty!! This turned out to be so gorgeous! I have a bunch of junky boxes and tins kicking around, and some irregular gifts that need wrapping this weekend. I just might have to tackle this project first! Oh my goodness! This is just lovely! I love how you decorated this old cashew can! And I love just about anything involving chalkboard paint! I love the winder sticker on the lid. Thanks for sharing at the Submarine Sunday Link Party! !